Coca-Cola Co, facing shifting shopping habits that have roiled the food and beverage industry, is taking a minority stake in Iris Nova, the company behind a cashierless New York City store where customers pay for drinks via text message. Coke, now the startup's largest investor, led a $15 million investment round that values Iris Nova at about $60 million. Iris Nova is the maker of Dirty Lemon, a line of upscale drinks, including a recently discontinued one made with CBD, that found traction with customers on Instagram before the company launched its first retail location in Manhattan this year. For Coke, the stake gives it a window into a brand that has picked up customers outside of traditional retail channels, using social-media buzz and direct-to-consumer sales to drive growth. 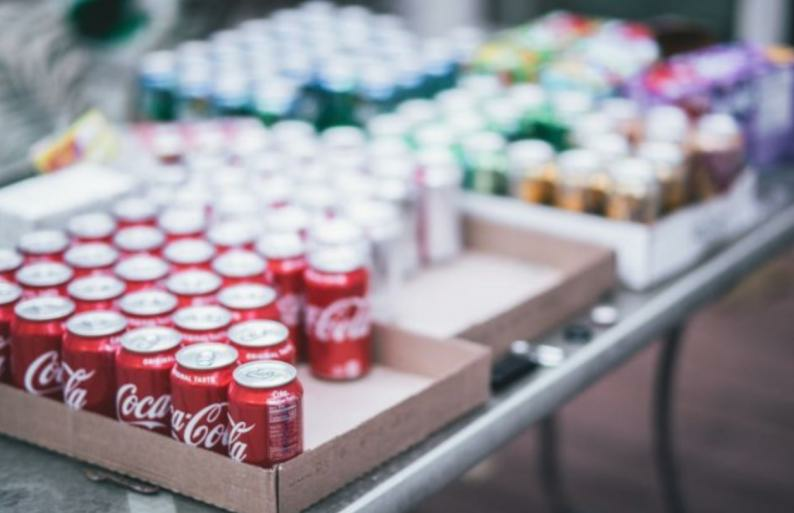 Coca-Cola is one of the most recognizable brands in the world, with a massive retail presence, but for now Iris Nova isn't looking to expand into outlets like Walmart Inc, Target Corp and Kroger Co, according to founder and chief executive officer Zak Normandin. "That would dilute everything that we've built," he said. "We believe in a future with consumers having a direct connection to brands and you don't get that in the traditional retail system." Coke, in its search for growth, made a splash with a $5.1 billion deal to buy the UK coffee chain Costa earlier this year. The beverage giant has also invested in smaller brands, like sparkling water company Topo Chico and Moxie, a soda with a cult-following in Maine. Iris Nova spoke to other large beverage companies and private equity firms before deciding to partner with Coke, Normandin said. The company hopes to be profitable by the end of next year and is targeting $100 million in sales by the end of 2021. In addition to Coca-Cola, retired New York Yankee Alex Rodriguez, actress Kate Hudson and veteran tech executive Tim Armstrong were among the investors who took part in the funding round, according to the company. Customers can walk into the Dirty Lemon shop – called The Drug Store – in New York's Tribeca neighborhood, grab a drink and depart. They're encouraged to send a text message to the company, which then responds. New customers are asked to open an account, while existing shoppers are charged. The company says it has processed about 90% of its orders via text, including those from online subscribers, since it started selling in 2015. Dirty Lemon relied heavily on Instagram to develop its brand but is pivoting away from social media. In recent weeks, the company has turned off Facebook and Instagram advertising entirely and hasn't seen a sales dip, according to Normandin. The company will open at least two more retail spots in 2019, with a second Manhattan location planned along with one in Chicago. Dirty Lemon makes what are known as "functional wellness" drinks using ingredients like charcoal, turmeric and collagen to command a price premium. A case of six 16-ounce bottles of the brand sells for $65, with discounts for subscribers. The company had been selling a drink made with CBD, the non-intoxicating compound found in marijuana and hemp that is having a moment as restrictions ease around the US. While the farm bill will legalize hemp-derived CBD, Iris Nova pulled its CBD drink from the market during the funding round to remove any regulatory questions. Coca-Cola has said it's studying the potential use of CBD in wellness drinks, but wants to make sure the ingredient is safe before moving forward. The decision to pull the CBD beverage wasn't the result of a request from Coke, but rather a desire to make sure Dirty Lemon was in a "secure place from a legal standpoint," Normandin said. "We've buttoned up in many areas."